Tonsai Beach is one of those places that feels like you’re seeing things. And if you happen to look away, even for just a second, it will disappear and nobody will believe it ever existed. Tucked away under towering limestone cliffs, Tonsai is only accessible by boat from the larger city of Ao Nang in Southern Thailand’s Krabi province. 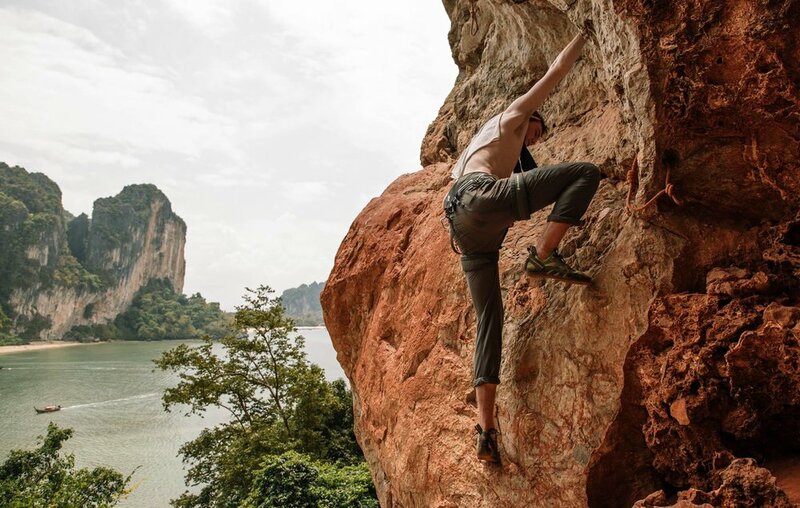 These same cliffs that hide Tonsai from the outside world draw thousands of sport climbers from all over the world to scale them. My three friends and I were some of those nut jobs that would fly across the world to climb in a place where, in the event of an accident, our only option would be helicopter rescue. Behind the single resort and small crop of businesses right off the beach is a jungle of Mangrove trees with swinging monkeys. 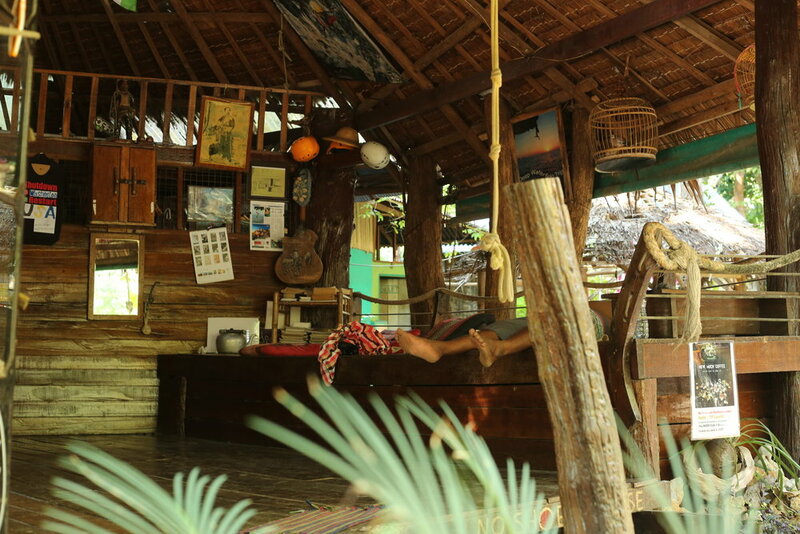 Venture in deeper and you’ll discover a tiny village, full of vagabonds and climbers, escaping everyday life to watch the sun set each night over the Andaman Sea, beckoning them to stay forever. Tonsai is special to me because the entire trip was based on one spontaneous, irresponsible decision to skip 2 weeks of senior year. Planning ahead was a lost cause- Thailand literally rejects the idea of booking accommodation in advance or making reservations. Instead, my friends and I were forced to let the Tonsai tide take us and show us how it’s done. The heat and humidity in Tonsai is like getting locked in a sauna. Our first day, we set out in the late morning to climb a popular route on a crag called the “Fire Wall”. We learned quickly that the “Fire” they were referring to was the afternoon sun torching the limestone and my poor, fair-skinned friends. But within 24 hours, you learn the routine of Tonsai- which is to not have a routine at all. Each day blends into the next; each moment is measured by your next 45 baht beer from your last (that’s 1 U.S. dollar and some change). On one of our last nights, we overheard some locals talking about Hyatt moving in and building a brand new resort on top of the Mangrove forest behind where we were sitting. As a traveller to this little slice of paradise, I felt a bit like a driver in a jam complaining about the traffic. Soon, Tonsai will become bigger and more developed, with infinity pools and 5-star restaurants and Instagram influencers parading around the sandy strips. But Tonsai’s character is too infectious to be lost. Its spontaneity will rub off on all future travellers who are lucky enough to experience its magic and stick with them, just like it has stuck with me.